Synthesis, characterization, and optical properties of noble metal nanoparticles. Bioconjugation of noble metal nanoparticles and their applications to biolabeling and bioimaging. Colorimetric bioassays using noble metal nanoparticles. 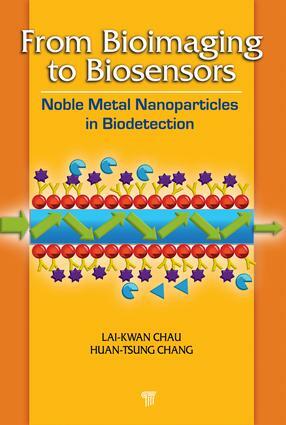 Slide- and microarray-based biosensors using noble metal nanoparticles. Optical waveguide-based biosensors using noble metal nanoparticles. Fabrication of biosensing chips. Microfluidics for biosensing chips. Biodetection based on resonance light-scattering of noble metal nanoparticles. Photoluminescence of gold nanoparticles and their applications to sensing and cell imaging. Biodetection based on fluorescence quenching and surface-enhanced fluorescence using noble metal nanoparticles. Surface-enhanced Raman scattering based on noble metal nanoparticles. Mass spectrometric bioanalysis assisted by noble metal nanoparticles. Chau Lai-Kwan did his BSc in chemistry from The Chinese University of Hong Kong, Hong Kong, in 1980, MSc in chemistry from the University of Houston, Texas, in 1984, and PhD in analytical chemistry from Iowa State University, Iowa, in 1990. From 1990 to 1994, he worked as an assistant research scientist in the Department of Chemistry, University of Arizona. From 1994 to 1995, he worked at the Center of Bioengineering, University of Washington as a senior fellow. He joined the faculty of the Department of Chemistry and Biochemistry, National Chung Cheng University, Taiwan, in 1995 and became a professor in 2003. Currently, he is also the director of the Center for Nano Bio-Detection, National Chung Cheng University. His research interests cover biosensors, analytical chemistry, and nanomaterials. He developed the fiber-optic localized plasmon resonance biosensing platform and received Taiwan's 2008 Nano-Tech Award.